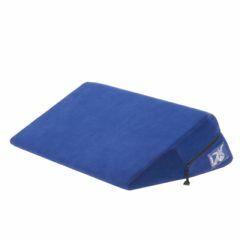 Our Liberator® Wedge makes a great gift or the perfect starter for your own adult playground. It's portable enough to store easily, yet it's compact size supports dramatic angles and elevations. Alone or stacked with the Ramp™ or Stage™, the versatile Wedge™ encourges endless ways to play. What are the dimensions of all these products? This question is legit! It was asked in 2012, for God's sake!!! It should have been answered by ALLEGRO!! !